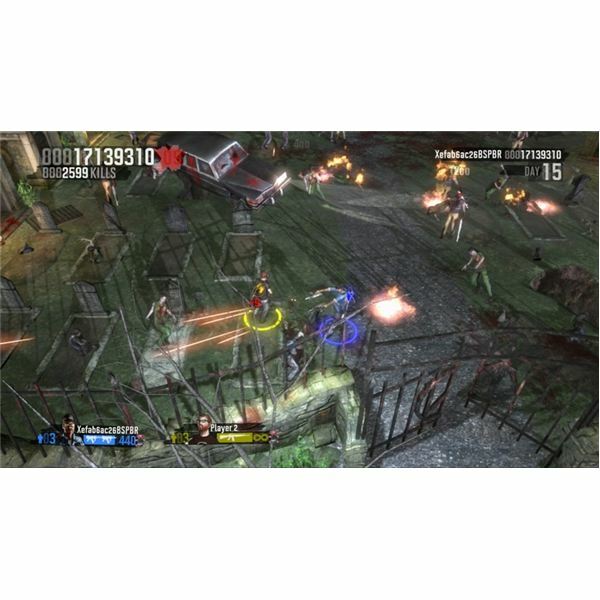 Zombie Apocalypse is a new game for the PS3 that is available from the PlayStation Store for just $9.99. In many ways, it is like an arcade version of Left 4 Dead. This type of game is fun to play for a few minutes at a time, but it doesn’t really have much long term appeal. I still enjoy playing it quite a bit. 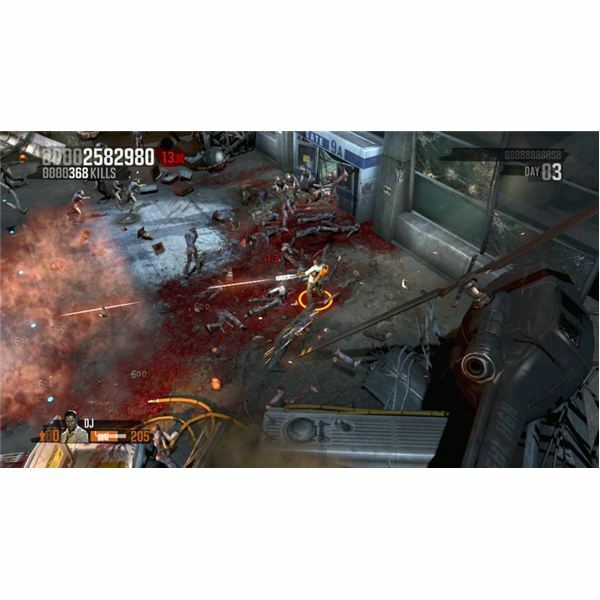 Zombie Apocalypse plays sort of like an iPhone game in that you are constantly spinning around and shooting things. In fact, I have a zombie game on my iPod Touch that plays very much like this PS3 game. There is no strategy to it, and the gameplay is very basic. You use the left thumbstick to move your character around and the right thumbstick to shoot your gun. There is never any reload time and you don’t run out of ammo, so basically you just run around the small maps and spin in circles while shooting everything that moves. It’s very simple, but still pretty fun. I called Zombie Apocalypse an arcade version of Left 4 Dead because there are some similarities, although this game is very simple compared to it. You can have up to four players at any one time, and they look a lot like the ones in Left 4 Dead. Furthermore, the onslaught of zombies and even some of the maps look like they might have been inspired by it. Unlike Left 4 Dead, you don’t have to depend on your teammates for backup, so the game mostly just involves you running around shooting until you’ve killed enough for it to say you have survived the day. The graphics in Zombie Apocalypse are really good, though sometimes the characters are a little small. This is one of those really gory PS3 games, as you can see in the screenshots below, but most anything to do with zombies is going to be gory. The game features dozens of levels, but they all take place on the same small group of maps, so there isn’t a whole lot of diversity in the visuals after you’ve played the game for more than about 10-15 minutes. Even so, it still looks decent and helps to hold your attention. The sound effects are pretty standard, but the one-liners from the characters can sometimes be funny, especially at the end of the level when the champion gloats. The real fun in this game is playing the four-person online multiplayer matches. 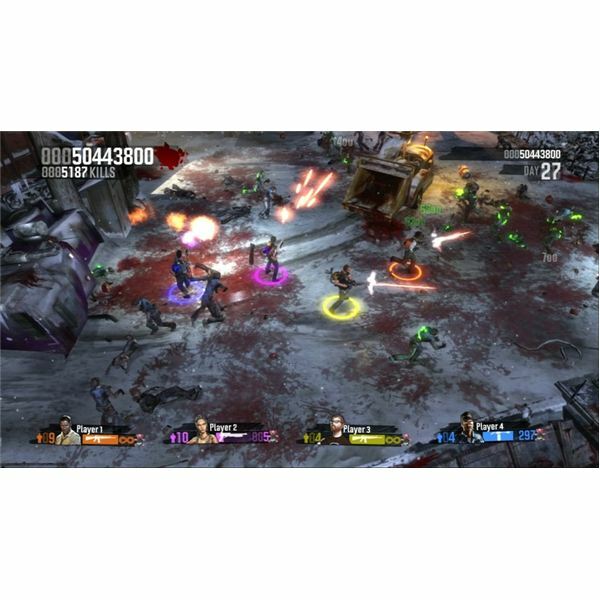 The gameplay is basically the same, but you have more zombies and more help to fight them. Finding an online match isn’t too tough, though my PS3 did lock up one time while searching for games. I often ran into issues when joining a session where one player wouldn’t toggle themselves as ‘ready’ so the game never got started. Because this game is so new, there aren’t a whole lot of people currently playing, but hopefully that will soon change. Despite being kind of simple and repetitive, I still recommend Zombie Apocalypse. It’s not something you’ll be playing for a long time, but it makes for a nice diversion to jump into for a few levels and blast away. I think there is still a market for these type games where you don’t have to get so involved in them. You should download the demo first, then if you want to buy you can just unlock the game with an extra 6kb download.